Handmade Detroit | Get Your Craft Revival Apps In! Get Your Craft Revival Apps In! Friendly reminder – applications for this year’s Craft Revival close this Sunday, March 18th at 11:59 pm! Submit your app here, and check out our FAQ for all sorts of tips on applying, too. 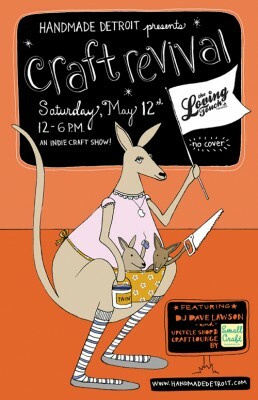 This year’s CR is Saturday, May 12th, and Handmade Detroit has got the mommas in mind! Our fabulous poster is designed by Nicole Ray of Sloe Gin Fizz and we just love this crafty kangaroo family that will be hopping with us along into spring! When will we know if our apps. are accepted? Notices will go out sometime this week, Jill. I have not received notification of acceptance, or not, for Craft Revival. Should I be concerned? Hi Sandy! We have tried to email you, but it keeps bouncing back. Can you email me at handmade.detroit@gmail.com? Thanks! 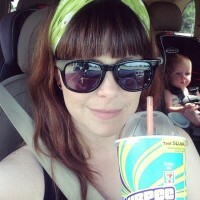 The most recent message I received from you was on 3/21/12 — at sandymshelly@gmail.com. Perhaps their was a typo error. My email is active.